Firm: Milling Benson Woodward L.L.P. After receiving his law degree, Mr. Pizza became an associate in the offices of Reuter & Reuter in 1974, where he practiced insurance defense law. He became a partner at Reuter, Reuter, Reuter & Pizza, PLC, from 1979 to 1987. Prior to joining the Milling firm, Mr. Pizza was a senior partner serving on the Management Committee of Brook, Morial, Cassibry, Fraiche & Pizza, LLP, New Orleans, Louisiana. He serves on the Management Committee for Milling Benson Woodward L.L.P..
Normand Pizza is engaged primarily in the areas of health care and hospital law, nursing home and home health law, Medicare and Medicaid law, medical malpractice defense litigation, insurance coverage litigation, employment law, and general tort liability. He has been selected as Best Lawyer for years 2012, 2013, 2014, 2015 and 2016. 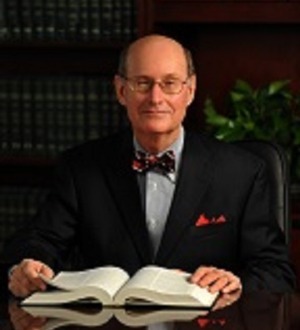 He is rated AV by Martindale Hubbell and is listed as a 2016 Top Rated Lawyer in HealthCare Law by American Lawyer and Martindale Hubbell. In 2015 he was listed as a Lawyer of Distinction. He is recognized by the Bond Buyer’s Municipal Marketplace (the “Red Book”) as qualified bond counsel and is a member of the National Association of Bond Counsel.